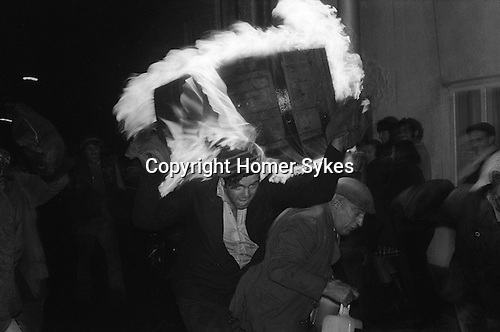 Tar Barrel Rolling, Ottery St Mary, Devon, England 1973. November 5th. Flaming tar barrels are run through the street of the village during the night.